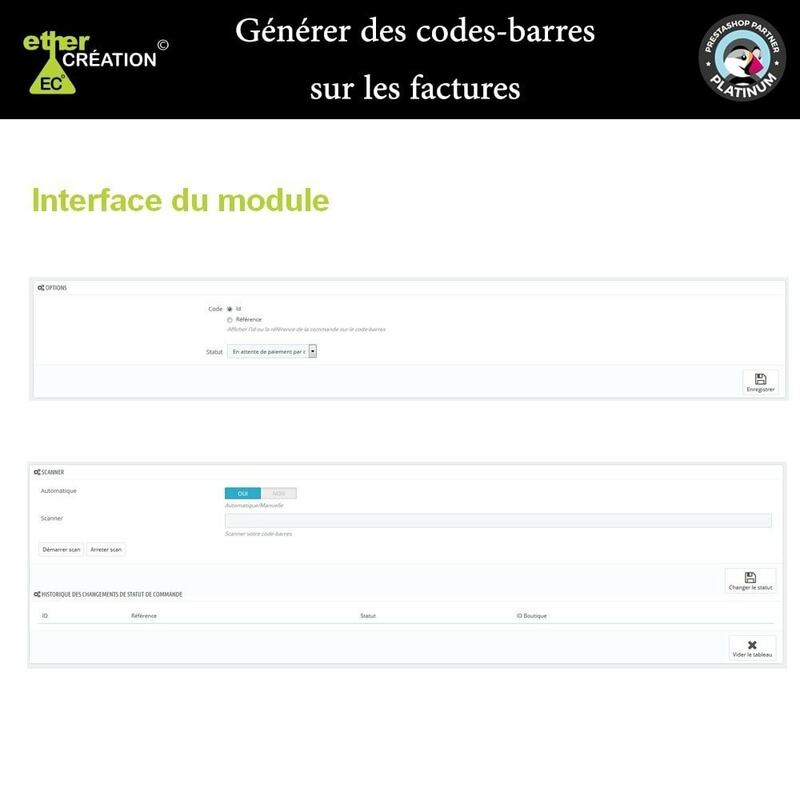 Thanks to this module, you'll save a lot of time managing your orders. 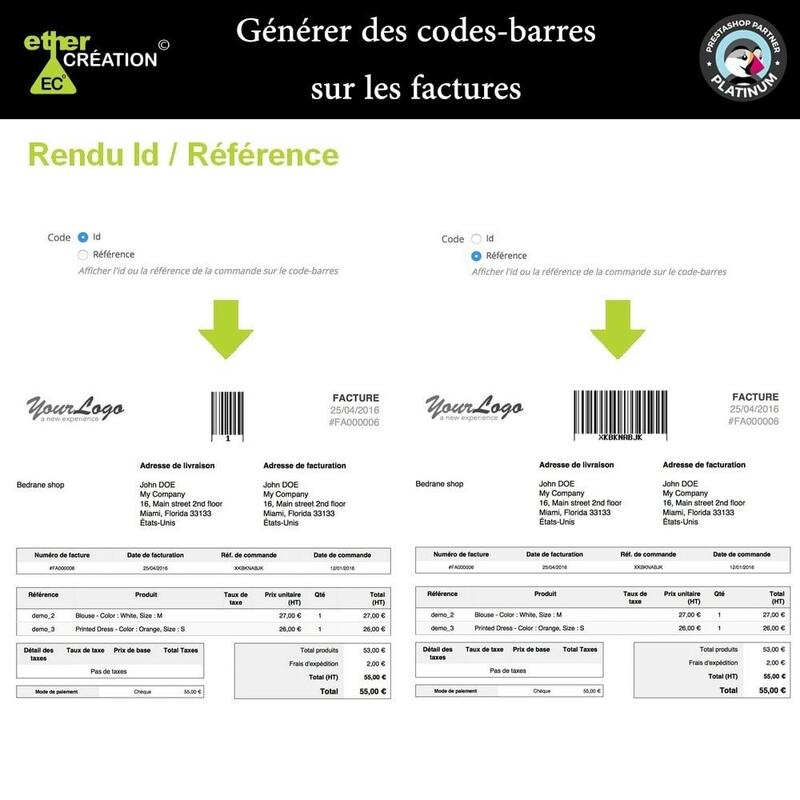 Indeed, Ec generatebarcode is a module that generates barcodes on invoices orders. 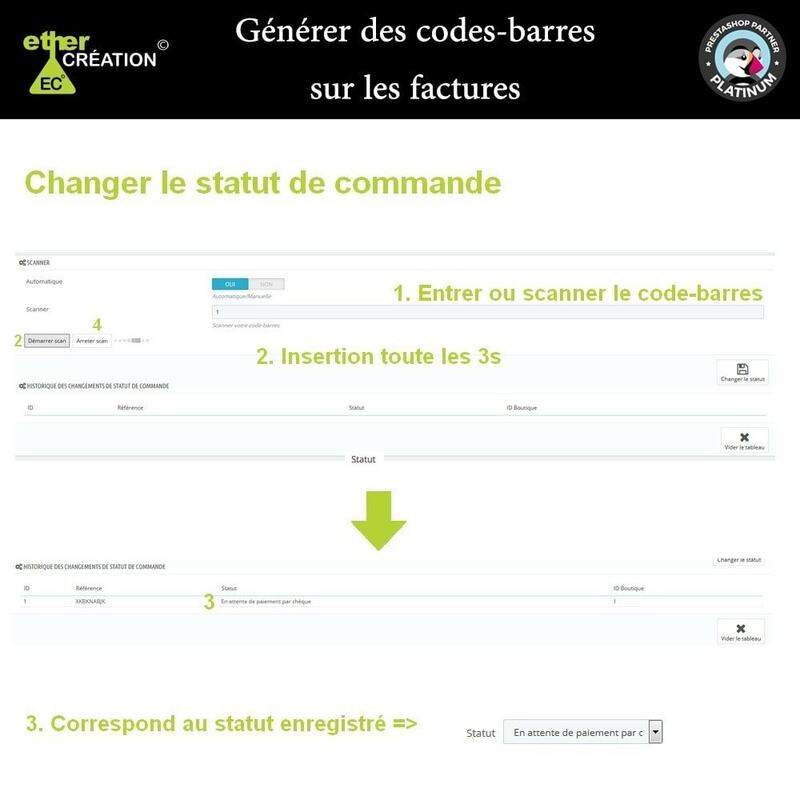 It’s possible to display the order id or reference on the barcode, after this you can change the order status by manually returning the value of the barcode or scanning it. Ec generatebarcode has also a summary table of your pasts operations of your change order status updated in real time, allowing you to track every operations you made and to not be lost in this management. This module is essential for a quality control management.